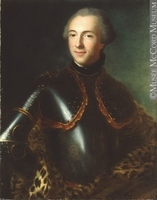 TARIEU DE LA NAUDIÈRE, CHARLES-FRANÇOIS (also called Charles-François-Xavier), officer in the colonial regular troops and seigneur; b. 4 Nov. 1710 at Sainte-Anne-de-la-Pérade (La Pérade, Que. ), son of Pierre-Thomas Tarieu de La Pérade, seigneur of La Pérade, and Marie-Madeleine Jarret* de Verchères; d. 1 Feb. 1776 in Quebec. 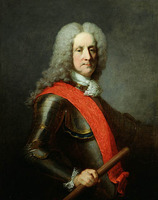 Charles-François Tarieu de La Naudière was to serve for more than 30 years in the colonial regular troops but never acquired through the profession of arms the renown legend gave his mother, the famous Madeleine de Verchères, as a result of her youthful exploits at the Verchères fort. Yet his mother did not neglect her son’s reputation, recounting that in 1722, when he was 12, he had saved her life when she was attacked by four Indian women. 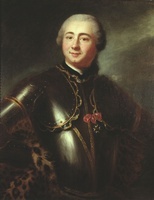 Charles-François began a conventional career at an early age, and advanced through the ranks regularly like the other officers, sons of important families in the colony. In 1727 he received a commission as a second ensign. 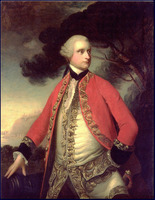 Promoted ensign in 1734 and lieutenant in 1742, in 1743 he was appointed adjutant of Quebec. On 6 Jan. 1743 he became related to a prominent family in the colony through his marriage in Quebec to Louise-Geneviève, daughter of a former captain in the colonial regular troops, Henri-Louis Deschamps* de Boishébert. Nothing is known of La Naudière’s military activities during his first 20 years of service. In 1746 he apparently took part in the expedition led by Jean-Baptiste-Nicolas-Roch de Ramezay to blockade Annapolis Royal, Nova Scotia, but he did not participate in the attack on Grand Pré in February 1747 [see Arthur Noble*]. He was ordered by Governor Charles de Beauharnois* to carry out a number of missions that year. In the spring of 1748 he was sent to the Miami country, where it was important to secure the French military presence after the troubles stirred up in the west by Orontony*’s band. He seems to have carried out his mission quite well, since upon his return to Quebec in the summer of 1749 the new governor, La Jonquière [Taffanel*], requested a gratuity of 2,000 livres for him. The request was refused, but in May he had obtained the rank of captain. 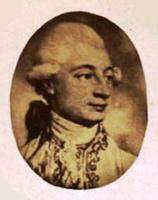 The early 1750s marked a hiatus in La Naudière’s military career. On 1 March 1750 he was granted the seigneury of Lac-Maskinongé, soon also known as Lanaudière. But he had little inclination or time to attend to his lands and instead turned to business. Having a share in a ship, in 1753 he went into partnership with commissary of the Marine Jean-Victor Varin de La Marre to import goods from France. 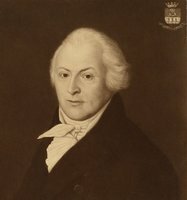 The following year he formed an association with his brother-in-law Jean-François Gaultier* for the exploitation of the fishing post at Chateau Bay (on the Strait of Belle Isle), of which Gaultier was the proprietor. He is also known to have had dealings with merchant-trader Jean-Baptiste Amiot* and with Pierre Révol*; in October 1756 he took part in a meeting of the creditors of Révol, who had just gone bankrupt and owed him nearly 3,000 livres. But the crucial years of the Seven Years’ War were beginning, and La Naudière once more was caught up in military activity. In the spring of 1756 he was in Acadia, in charge of distributing provisions to the many habitants who had had to seek refuge in the woods. He took an active part in the guerrilla operations led by his brother-in-law, Charles Deschamps de Boishébert, against the English who had settled along the Saint John River. His presence the next year at the siege of Fort William Henry (also called Fort George; now Lake George, N.Y.) is not certain, but he was at Carillon (Ticonderoga, N.Y.) on 8 July 1758. 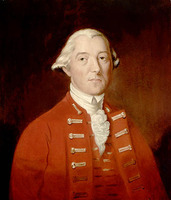 Montcalm* noted his satisfactory conduct in a letter to Governor Rigaud de Vaudreuil the day after the battle. La Naudière perhaps owed to this praise the cross of the order of Saint-Louis, bestowed on him in January 1759. It can assuredly be said that in the following months the new knight of Saint-Louis accomplished no feats of arms. He conceived and was responsible for building cajeux, rafts carrying artillery, to be used to check the advance of the British fleet, then sailing up the St Lawrence. In this task he was aided by François-Louis Poulin* de Courval, who redesigned the cajeux. Having left for Île aux Coudres only on 22 May, La Naudière did not have time to carry out the operation. On 27 May the British landed on the island, and La Naudière beat an inglorious retreat, after ordering that the cajeux already built and everything of potential use to the enemy be burned. He reached Quebec on 1 June. Problems in provisioning the army were developing since relief supplies brought from France by Jacques Kanon* were insufficient. La Naudière was therefore ordered by Vaudreuil and Intendant Bigot on 7 June to requisition all oxen and bulls in the Government of Quebec. At the end of July the ordinance was extended to the Government of Trois-Rivières. It was an unheroic but delicate and necessary task, which moved the anonymous author of a diary of the siege to observe ironically: “A bunt from a horn is not as much to be feared as a hit from a cannon.” La Naudière probably took part, at the head of his soldiers, in the last two major battles of the war, on the Plains of Abraham in 1759 and at Sainte-Foy the following year. After the conquest La Naudière spent some time in France; the reasons for his trip and its duration are unknown. During his absence his wife died, in July 1762. The following summer he returned to Canada, and on 12 Jan. 1764 he married Marie-Catherine, the daughter of Charles Le Moyne* de Longueuil, second Baron de Longueuil. She was much younger than he and they had ten children. During his last years La Naudière used part of his fortune to purchase seigneuries: in 1767 he bought the fief and seigneury of Saint-Vallier from the nuns of the Hôpital Général of Quebec, and in 1769 the seigneury of Saint-Pierre-les-Becquets, which belonged to Charles Levrard. In the mean time he had transferred his rights to the seigneury of Lac-Maskinongé to Charles-Louis*, a son of his first marriage. La Naudière’s relations with the British administration were excellent. In 1766 he was one of the seigneurs in the District of Quebec who signed the address to Governor Murray on his departure. When Carleton* asked the British government in 1769 to admit members of the Canadian nobility to the Council of Quebec, La Naudière’s was one of 12 names put forward. Indeed he did become a member of the Legislative Council created in 1775 by the Quebec Act, and the first council open to Catholics. He scarcely had time to take his seat, since he died on 1 Feb. 1776 at the Hôpital Général of Quebec. La Naudière, who was descended from one of the great families of the colony, had an undistinguished career in the military profession to which he had devoted himself. 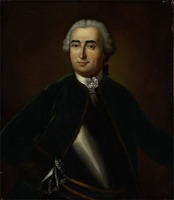 A report written in 1761 or 1762 described him as a “very mediocre officer” but “rich.” Like others, he had been able to accommodate his military career to more lucrative activities as a merchant; after the conquest he got along well with the colony’s new administrators, as would his children – Charles-Louis and Xavier-Roch* in particular. ANQ-MBF, État civil, Catholiques, Sainte-Anne-de-la-Pérade (La Pérade), 5 nov. 1710. ANQ-Q, Greffe de J.-C. Panet, 30 oct. 1756. 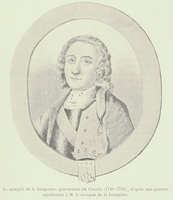 “Accord entre M. de Lanaudière et M. Varin (16 octobre 1753),” BRH, XXXVI (1930), 395. 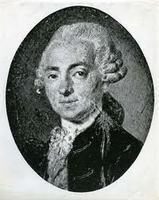 “Charles-François-Xavier Tarieu de Lanaudière et la campagne de 1759,” BRH, XXXII (1926), 691–95. Coll. de manuscrits relatifs à la N.-F., IV 170. Coll. des manuscrits de Lévis (Casgrain), III, 114, 144; IV, 104–5; V, 194, 277; VI, 94; VII, 67, 113, 422, 525, 527, 529. Découvertes et établissements des Français dans l’ouest et dans le sud de l’Amérique septentrionale . . . mémoires et documents inédits [1614–1754], Pierre Margry, édit. (6v., Paris, 1879–88), VI, 667–68. Doc. relatifs à l’hist. constitutionnelle, 1759–91 (Shortt et Doughty; 1921), II, 579. Inv. de pièces du Labrador (P.-G. Roy), II, 100–3. “Journal du siège de Québec” (Æ. Fauteux), ANQ Rapport, 1920–21, 142–44, 149, 156, 163, 175, 208, 220. NYCD (O’ Callaghan and Fernow), X, 722, 894. PAC Rapport, 1899, suppl., 29; 1905, I, vie partie, 131, 279, 339. 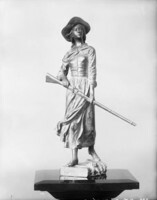 Æ. Fauteux, Les chevaliers de Saint-Louis, 168. Le Jeune, Dictionnaire. P.-G. Roy, Inv. concessions, III, 237, 268–69; IV, 226; Inv. jug. et délib., 1717–60, VI, 43. Tanguay, Dictionnaire. 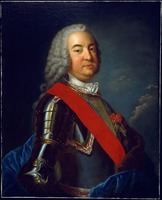 Thomas Chapais, Le marquis de Montcalm (1712–1759) (Québec, 1911), 352–53, 495, 547. Frégault, La guerre de la Conquête, 330. P.-G. Roy, La famille Tarieu de Lanaudière (Lévis, Que., 1922). Henri Têtu, “La rue Port Dauphin à Québec,” BRH, II (1896), 78. Marie-Céline Blais, “TARIEU DE LA NAUDIÈRE, CHARLES-FRANÇOIS,” in Dictionary of Canadian Biography, vol. 4, University of Toronto/Université Laval, 2003–, accessed April 21, 2019, http://www.biographi.ca/en/bio/tarieu_de_la_naudiere_charles_francois_4E.html.